Like many of games by Cheapass Games, Button Men has a long and storied past. It was first released in 1999, as a collection of pin-backed buttons that players could easily wear around a convention or other gathering. Within only a few years, hundreds of character pins were released for the game, both original and licensed by other companies. As time went on the game’s popularity didn’t really change, with digital versions popping up, along with card-based adaptations that are still available for free on Cheapass Games website or printed by DriveThruCards (I just ordered some, in fact) including a create-your-own-card feature. Now it’s almost 20 years later and Button Men is back. This new card based version takes place in 1952 in the crime-infested city of Selaria, better known as Fight City, on America’s Gulf Coast. 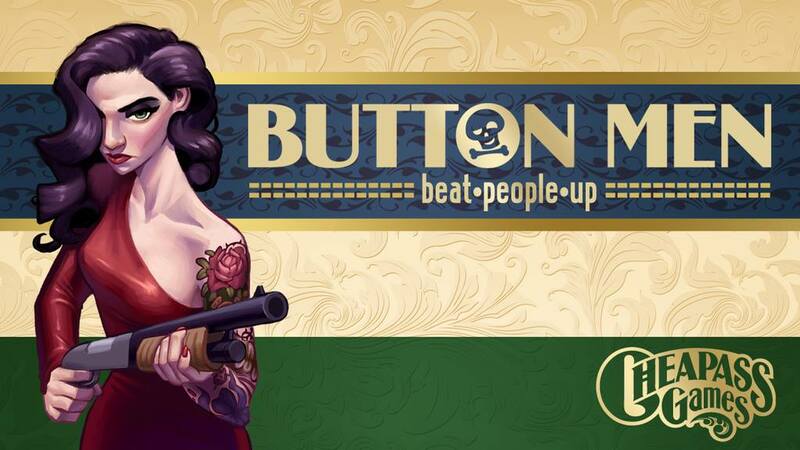 Whereas the Button Men name originally came from the pin-backed buttons they were printed on, this version’s name also alludes to the 1950’s term for a mafia hitman. The box comes with a total of 48 character cards, divided into the four factions that run the criminal underworld of Fight City. When you first start playing Button Men, it is recommended you start with the Core faction. These twelve characters don’t have any of the special ability dice that the other factions use, so are an ideal starting point for learning the game. Each character has five dice printed on their card. These dice could any combination of 4, 6, 8, 12, or 20 sided dice, or swing dice labeled as X. Players may select any sized die between 4 and 20 sides for their swing dice, even if it’s an unusual size that’s not otherwise included in the game. The game starts with both players rolling their dice, and the person with the lowest showing number plays first by selecting one of their opponent’s dice to attack. They can choose to attack with either a single die of their own that has an equal or higher number than a single die of their opponent (a Power Attack), or any two of their dice that are exactly equal to a single die of their opponent (a Skill Attack). With either option, the opponents die is removed from play, and the capturing die or dice are rerolled. Play then alternates until neither player can make a legal attack. It’s a beautifully simple system. Once you have played a few rounds, and have a good understanding of the flow, it becomes easier to add in the West Side, Delta, and Uptown factions, each of which has a special ability. West Side uses green Poison Dice, which act as negative points. Delta gets blue Shadow Dice, which captures a die showing a higher number, but that is no higher than the size of the Shadow Die itself. Lastly, Uptown uses orange Rush Dice that can capture any two of their opponent’s dice, but can similarly be captured along with a second of their own dice, even if their opponent doesn’t have any Rush Dice themselves. Button Men is intended as a fast 2-Player game. But there are additional rules to expand into longer games with campaign rules, as well as multiplayer variants. The box contains more than enough dice to handle at least a 4-Player contest, even with the different special dice. You can always add dice from your own collection, but the 30 dice in the box includes 10 black dice that are intended to stand in for any colour special dice that may be needed since none of the current characters use more than one type of special ability. As with everything Cheapass Games puts out, this game is a blast to play. As if there wasn’t enough replay value already in the box, you can use most of the older Button Men characters as well. In 1999, the original Button Men game was named one of the Top Games of the Millennium. In 2017, the new version certainly puts in the running for one of the best of the new millennium as well. 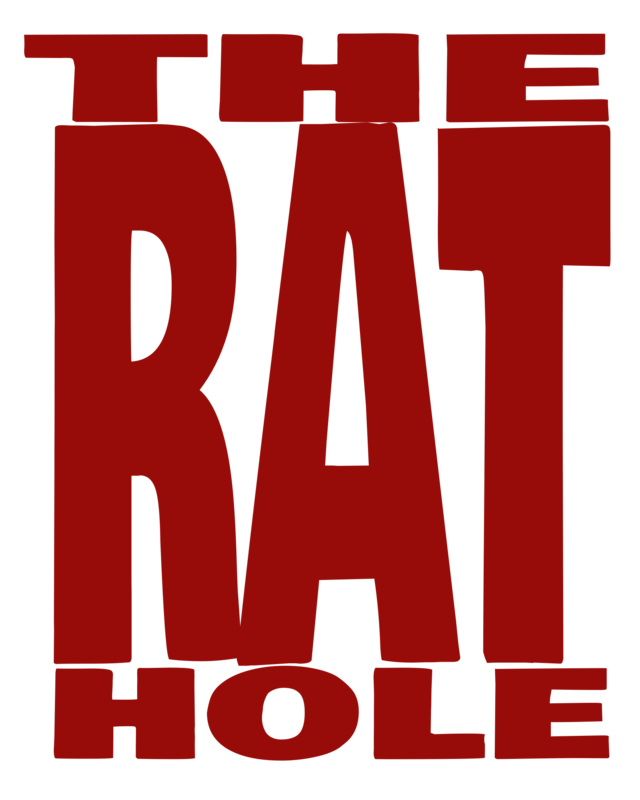 There is also an entire website dedicated to Button Men at buttonmen.com that Cheapass Games is in the process of updating with all the current game’s information.